Thomas Jefferson (1743–1826) was a polymath: America’s “first distinguished viticulturist,” an architect, author of the American Declaration of Independence and third president of the United States. Jefferson was highly educated: he was a ”Renaissance man” in every sense of the word. 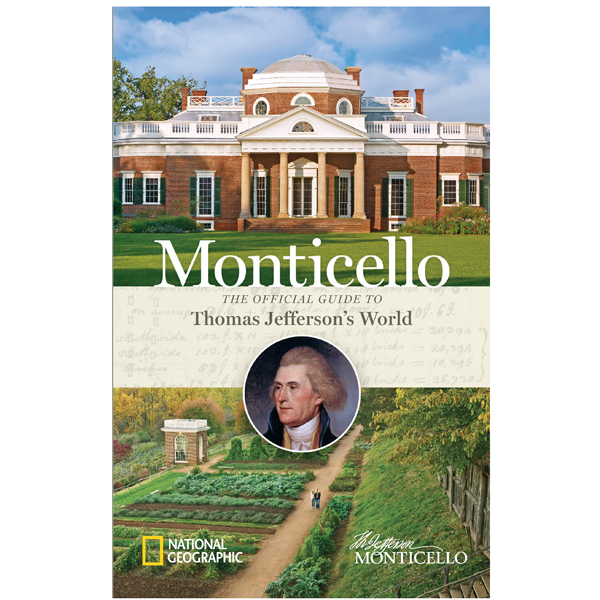 Thomas Jefferson was a talented architect of neo-classical buildings and he designed his Virginia plantation home, Monticello (Little Mountain) as well as the buildings on the campus of the University of Virginia. Construction of Monticello began in 1769. 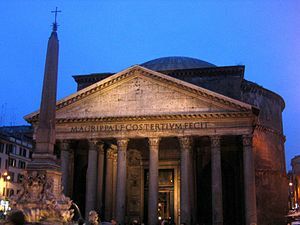 Jefferson was inspired by classical European architecture. The 43-room mansion has 13 skylights. 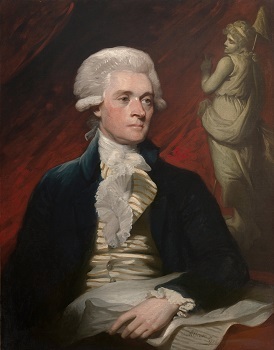 In addition to writing the Declaration of Independence, and serving in many other roles (eventually the third President of the United States), Jefferson served as American ambassador to France between 1785-1789. The French Revolution broke out in 1789 and Jefferson was actually living in the Hôtel de Langeac in Paris when the Bastille was stormed. This chaotic and bloody revolution resulted in the overthrow (and execution) of King Louis XVI and the creation of the First French Republic. Secretary of State Jefferson was an enthusiastic supporter of the French Revolution, but President Washington was less than thrilled. As a supporter of the French Revolution, Jefferson met regularly with the Marquis de Lafayette, and even advised him on how to conduct revolutionary activities. 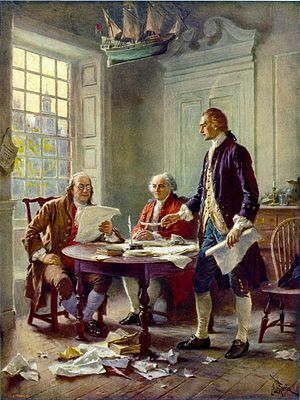 Lafayette’s Declaration of the Rights of Man and of the Citizen, was a declaration identifying basic human rights and was directly inspired by Jefferson’s Declaration of Independence. His beloved Monticello is situated on the summit of an 850-foot peak in the Southwest Mountains that run parallel to the Blue Ridge Mountains. In 1987, Monticello and the nearby University of Virginia, also designed by Jefferson, were designated as a UNESCO World Heritage Site. Jefferson was inspired by the principles of the Venetian Renaissance architect Andrea Palladio who was active in the Republic of Venice. 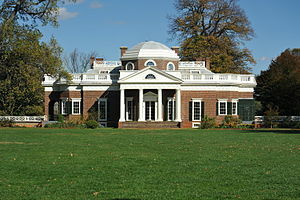 Monticello is a relection of Palladian proportions on the pedimented portico. Jeffersonian Architecture is an American form of Neo-Palladianism that was very popular between 1790 and 1830 in America. 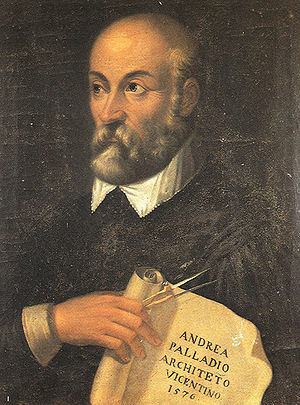 Andrea di Pietro (1508-1580) was known as Palladio. 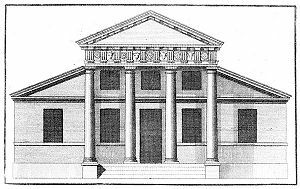 Palladio was influenced primarily by Vitruvian design principles; symmetry, perspective and values of the formal classical temple architecture of the Ancient Greeks and Romans. 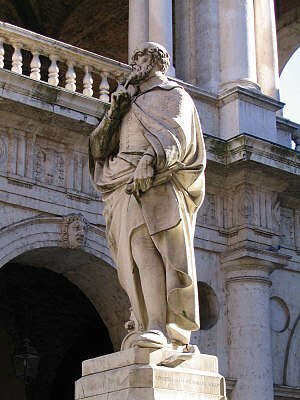 Palladio was a stone mason’s apprentice who became the most influential architect of his generation. Palladio’s urban dwellings and villas are scattered throughout the Venato. His Palladian architectural principles gained world-wide prominence in the 18th century. A Palladian Villa is characterized by pillared porticos and arches. 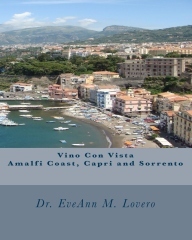 Unfortunately, fourteen of his villas were destroyed by World War II bombs. The city of Vicenza and the Palladian Villas of the Veneto are UNESCO World Heritage Sites. For over 40 years, Monticello was designed and redesigned, built and rebuilt. 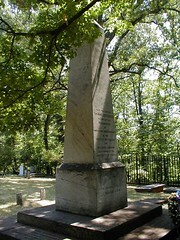 Thomas Jefferson is buried on the grounds and this area is designated as the Monticello Cemetery. 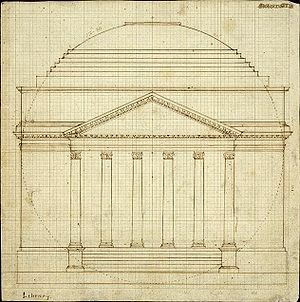 Monticello and the key buildings of the University of Virginia are directly related to American Palladianism using principles from classical architecture. 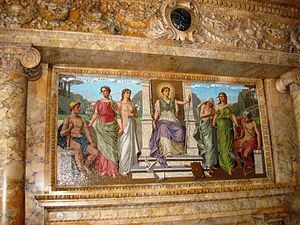 The similarities between the Pantheon in Rome and the Rotunda of the University of Virginia are apparent when the photos ante pictured next to each other. 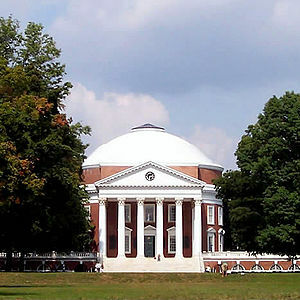 Jefferson’s rotunda houses the library. 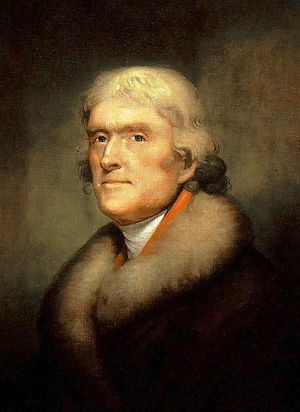 Thomas Jefferson, established two vineyards at Monticello. Both were situated in the south orchard, below the garden wall. 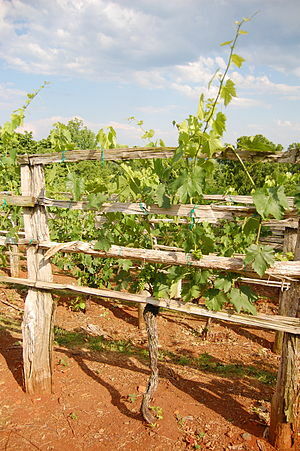 Although Jefferson aspired to make wine from Monticello-grown grapes, his continual replanting of the vineyards suggests a perennial and losing struggle with grape cultivation. 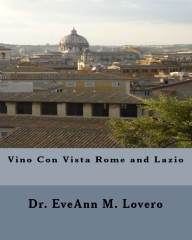 The successful cultivation of Vitis vinifera, the classic European wine species, was virtually impossible, until modern methods were developed to control black rot and such destructive pests as phylloxera, an aphid-like root louse. 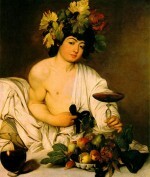 Many native grapes were grown more effectively than vinifera, yet the poor quality of the resultant wine hindered the development of an established industry. 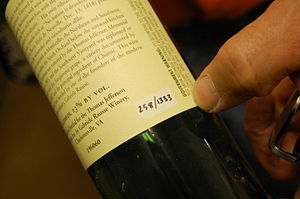 In 1985, the Thomas Jefferson Foundation restored Jefferson’s 1807 plan for the northeast vineyard using several Jefferson-related European varieties grafted on hardy, pest-resistant native rootstock. 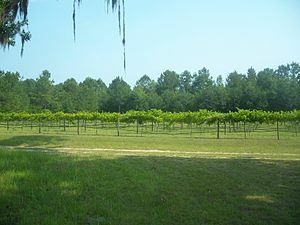 The southwest vineyard was replanted in 1993 entirely with the Sangiovese grape, a variety documented by Jefferson in 1807 and the principal ingredient of Chianti. 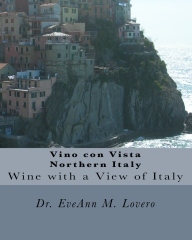 Several vintages have been made with harvests from this vineyard and are sold from the Monticello Museum Shops. Gabriele Rausse, one of the founders of the modern Virginia grape industry, oversees the production of wine as well as the care of the restored vineyards. The plantings at Monticello continue to serve as experimental gardens of unusual varieties of vinifera. 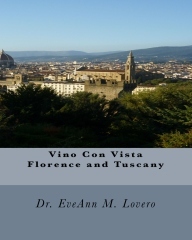 “The Southwest Vineyard was replanted in 1993 entirely with the Sangiovese grape, a variety documented by Jefferson in 1807 and the principal ingredient of Chianti in Tuscany. 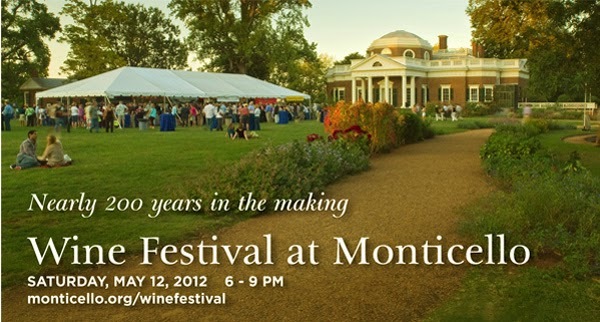 There is an annual Wine Festival at Monticello in May. 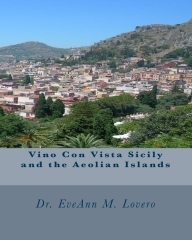 Several vintages have been made with harvests from this vineyard which are sold from the Monticello Museum Shops. 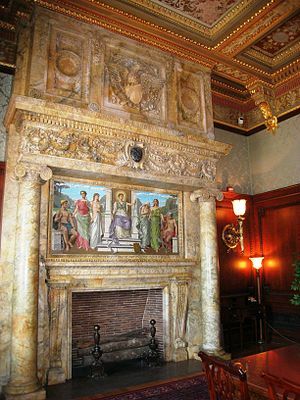 In Washington, D.C. you can visit the Thomas Jefferson Building in the Library of Congress.